Backpacking tents seem to get more high tech, weigh less, and pack smaller every year. Conversely, car camping tents get larger and deliver more living space and creature comforts while being less bulky, setting up easier, and offering more features. In spite of tents’ many advances, many outdoor people continue to use the car bivy, a tried-and-true dirtbag method for sleeping in the outdoors. car bivy [kär bi-vē] n : The experience or act of forgoing the comfort of renting a room, or the inconvenience of pitching a tent, in favor of sleeping in the car. To many people, the idea of someone sleeping in his or her car is pretty sad, but for a select group, the car bivy is the most practical—and least expensive—way to get close to their outdoor objectives. 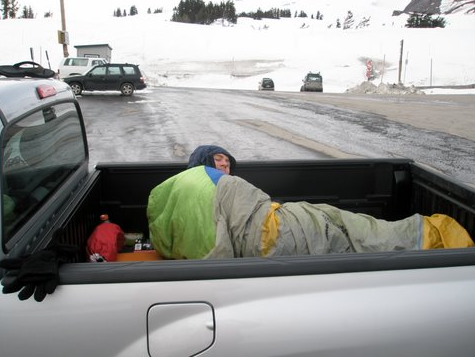 Whether in a campground, at a trailhead, or covertly on the edge of a Walmart parking lot, this method provides a low-cost, no-frills sleeping option. 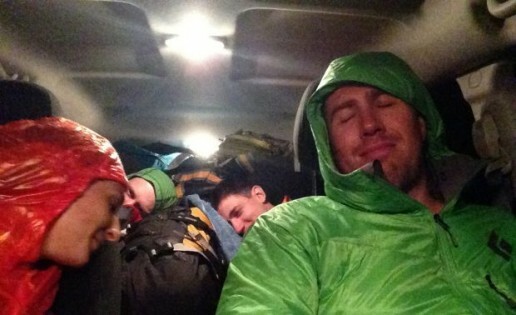 While it may sound strange that individuals who often possess thousands of dollars’ worth of high-tech equipment, wear clothes made of expensive, cutting-edge materials, and also probably own an expensive tent (or three) would intentionally sleep in the car, it happens all the time. The truth is, by cutting corners on the cost of a motel or campsite, a hardened outdoor person can devote those funds to new boots, a new jacket, some other “must-have” piece of outdoor gear, or simply a campsite when it’s really needed. My sleeping preference will always lie with beds. However, the practical outdoor person in me has spent a fair number of nights curled up in the back of my Subaru wagon, sleeping in the bed of a friend’s truck, or trying to get comfortable in the driver’s seat of a rental car. While seasoned dirtbags will tell you about the year they traveled the U.S. in their Saturn, I believe the car bivy is at its best when used for a day or two at most, and truly excels when you are only looking to get a few hours of sleep before an early start—for example, driving to a trailhead and briefly knocking out before a big day and an alpine start. The same qualities that lead people to the car bivy in the first place are, ironically, also the qualities that ensure they will probably rent the worst possible vehicle. Before heading to Mount Hood, I knew my climbing partner and I would spend somewhere between one and three days sleeping in the car. Yet, I never let that stop me from renting the cheapest (read: smallest) model available. When booking a rental car from the comfort of your living room, it’s easy to talk about roughing it. The reality is, it’s easy to envision yourself in the mountains, but it’s harder to picture what life will look like if you’re storm-bound in a compact car jammed with skis, packs, jackets, food, and all the other gear that coincides with a ski mountaineering trip. Sleeping in the driver’s seat is hard enough. It can be almost impossible if you’re unable to push the seat back or recline it. The crazy thing about the rental car bivy is that, even when renting the cheapest available, it still tends to be nice. I’ve never had a rental with more than a few thousand miles on it, and most would pass for new. But, it’s a shame how disgusting they are when returned after a few days of serving as a bedroom, living room, kitchen, and mudroom in the outdoors. While on Mount Hood, we took great care not to drag too much sand and mud into the car from the parking lot. 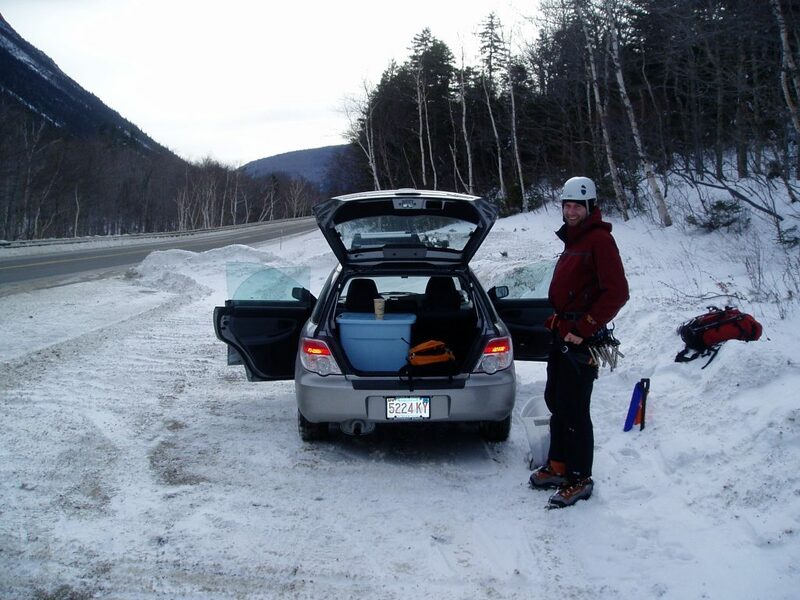 But, there was no avoiding the skis de-icing in the trunk, our boots airing out in the backseat, and heaps of layers in various states of drying draped anywhere we could find space. Oh, and as the car obviously doesn’t have a shower, after a few days of ski touring, the vehicle’s unique smell only gets more pungent. By the end of the trip, the car stunk, and despite driving around with the windows open for a few hours before returning it, I’m afraid that smell isn’t going away. Despite all of the car bivy’s negatives, I still had a fantastic time. In fact, the moment I got back, I began plotting my next adventure—one that will most likely involve another car bivy, complete with a too-small vehicle. In the end, the disjointed sleep, weird food, weirder bathrooms, strange smells, and all the other challenges presented merely added to the adventure. 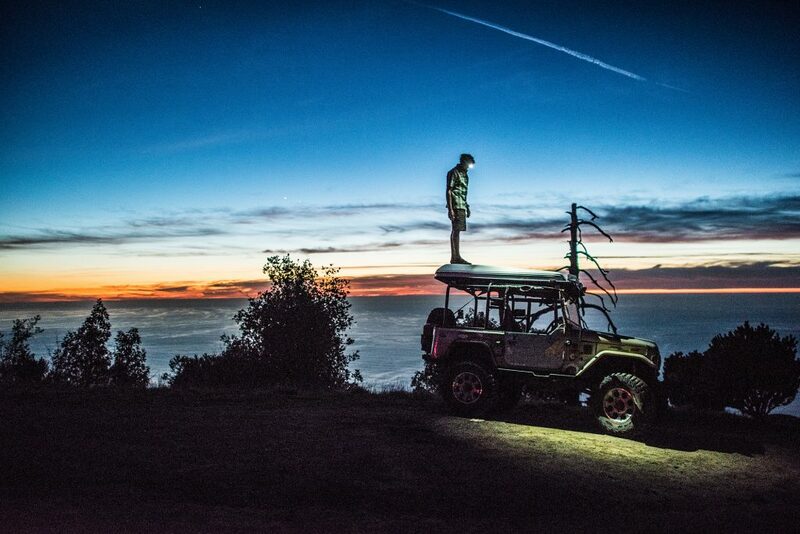 Maybe, then, the reason this method has grown to prominence is, why else would you get up at one o’clock in the morning to climb a mountain, other than you have to get out of the car? If you stop at almost any Eastern Mountain Sports, there is one thing you’re almost sure to discover in the parking lot: a dirty, well-used Subaru wagon adorned with a Thule rack, usually covered in stickers. Upon closer inspection, you’ll most likely find a pile of sleeping bags, puffy coats, climbing gear, bike helmets, and other outdoor essentials strewn about the backseat, in the hatch, and in various states of cleanliness and organization. But, it’s not only with EMS employees that Subaru has developed a cult-like following; the outdoorsy crowd in general has flocked to this car maker. I, too, have fallen for the Subaru’s siren song: In the past eight years, I have owned two Subaru Impreza wagons, and when the time comes for a new car, I will be hard-pressed not to buy another one. Ask me what my favorite piece of gear is, and I will give you varying answers, depending on which season it is and which sport has me the most psyched at that moment. It could be a pair of ski boots I spent the winter touring in, a bike that I just did the “best ride ever” on, or maybe a helmet, ice axe, or cam that kept me from meeting with a gruesome end. Either way, I will most likely never mention my Subaru Impreza, despite the fact that it has taken me on more adventures than any bike, pair of skis, or boots. The more I think about it, my Subaru Impreza may be the most valuable—it’s certainly the most expensive—piece of gear that I own, and it’s time it gets the recognition it deserves. 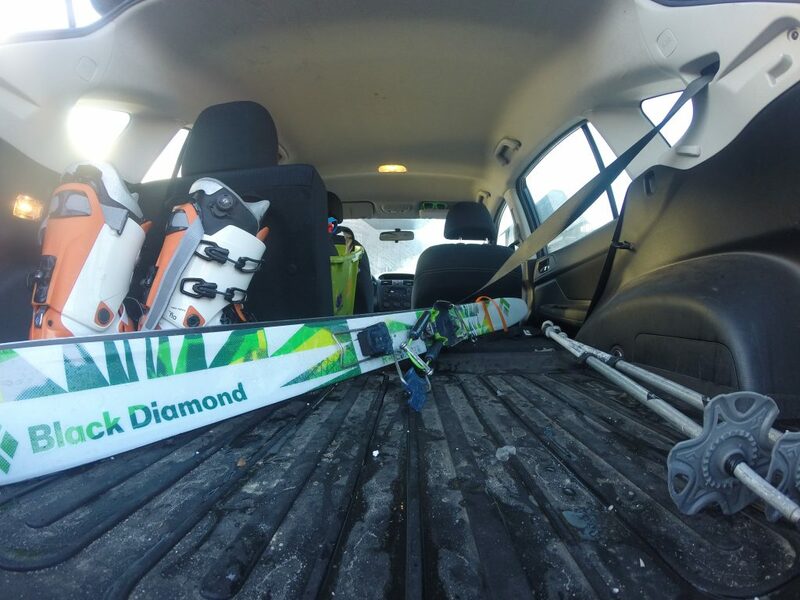 The Subaru Impreza is so popular with outdoor people because it can be your gear room on wheels. 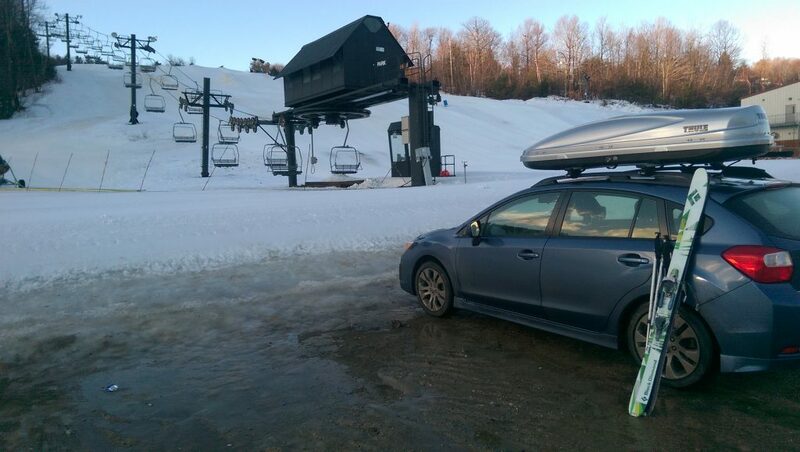 With a Thule box on the roof, the Impreza works perfectly for ski trips, whether at the resort or in the backcountry. It comfortably carries four adults with plenty of room for boots and packs in the hatch and skis and poles in the Thule box. As a side note, leg room can be tight. My advice is, to make the most out of the space available, stick shorter people in the backseat. In the summer, I have carried four adults and all of their biking necessities in my Impreza, as well as four bikes on the roof, all over New England. My wife and I have even used my Impreza for a two-week bouldering tour throughout the South’s Sandstone Belt, and had plenty of room for two crash pads, clothes, and all of our camping accessories with the rear seats folded down. The more I think about it, my Subaru Impreza may be the most valuable—it’s certainly the most expensive—piece of gear that I own, and it’s time it gets the recognition it deserves. Speaking of folding the seats down, the back of an Impreza wagon can also be used as a mobile motel. People continue to create slick sleeping platforms for Subarus, but for me, simply folding the rear seats down to toss in a sleeping pad has been a good-enough option for nights when I don’t feel like springing for a hotel, don’t feel like setting up a tent, or just need to get a few quick hours of sleep at the trailhead before an alpine start. At six feet tall, I can almost sleep lying straight in the car’s back, but either I have to bend my knees or sleep diagonally to fit. But, who sleeps totally straight, anyway? As an active outdoor person, I require my vehicle to get me to my next adventure no matter the conditions, and the Impreza hasn’t disappointed yet. In the past, I have owned trucks, Jeeps, and SUVs, and in my opinion, the Impreza has been as good as—if not better than—any of them in the snow. I’ve never missed a powder day because I didn’t feel comfortable driving in winter weather. While Subaru’s winter performance is the reason you see so many of them throughout New England, the Impreza can also stand up to the muddy dirt roads and parking lots found throughout the spring on the way to the crag or trailhead. Sure, at times, I have missed the clearance offered by a truck or SUV, but I have yet to get stuck or bottom out my car, and I have traveled some of New England’s rougher roads. I’ve never missed a powder day because I didn’t feel comfortable driving in winter weather. I want to spend my money on gear and adventures—not gas and repairs—and this is where the Subaru Impreza really shines. In fact, I do very little to my car, other than driving it (earmuffs, Subaru dealers, and technicians). Between my two Imprezas, I have driven well over 300,000 miles with only regular oil changes, one timing belt replacement, two batteries, and two brake jobs. The only time I faced a mildly expensive fix, I decided that, with over 220,000 miles on my first Subaru, the car owed me nothing, and I traded it in. To my delight, in the years between owning my first and second Impreza, Subaru managed to get between seven and 10 more miles per gallon out of it, making it even more affordable to drive. The main reason I think the Subaru Impreza wagon has appealed to so many EMS people and outdoor enthusiasts is that it possesses the same qualities we value in our outdoor gear: It’s versatile, reliable, and durable, all while remaining affordable enough to leave us with some spare cash for the next big trip or must-have piece of equipment. When the time comes for me to retire this Impreza (hopefully, not too soon), I will have a hard time choosing anything but another one to replace it with. With The Emerald Mile, author Kevin Fedarko puts the reader on the dories, in the river, and behind the controls of the Glen Canyon Dam, distinguishing this novel from other works of adventure writing. Fedarko uses more than literary skills to make the people, river, and the boats jump off the page. Rather, he involves his intimate knowledge of the Grand Canyon gained from years spent studying it, including its stories and the people who are drawn to it—just like he was. How did he gain this insight? With no prior paddling experience, Fedarko apprenticed with a guiding company, where he specialized in paddling the “groover,” better known as the toilet and all the generated sewage, on a boat named the Jackass used for the company’s guided parties. 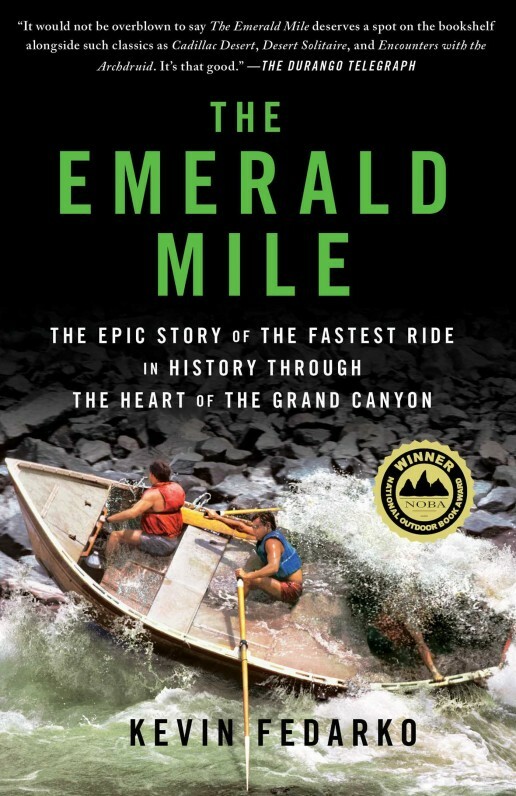 On these trips, Fedarko became familiar with the story of The Emerald Mile and its legendary speed run through the Grand Canyon. For four years, Fedarko paddled the Jackass, learning the nuances of the Grand Canyon and familiarizing himself with its legends. For six years following his river apprenticeship, Fedarko researched, interviewed, compiled, and wrote The Emerald Mile. When the book was finally ready for distribution, however, his publisher became involved in a dispute with the U.S.’s largest bookstore chain, which caused them to not carry his work and impacted the marketing plan and budget to announce its release. Not to be deterred, Fedarko used the same determination for four more years. If the country’s biggest bookseller wasn’t going to carry his book, Fedarko would just have to focus on the small, independent bookstores, and without a budget, he’d have to do it from his truck. For nearly a year, Fedarko spent his time driving from bookstore to bookstore, trying to sell his book and sleeping in his truck. Speaking to whomever would listen, Kevin would sometimes draw full houses and, at the lowest times, see crowds of only a bookshop owner, her two cats, and a friend. But, something was happening. People loved the book, and those he met with and spoke to were recommending it. Even better, it was actually selling. As Kevin spoke, his passion for the river, and the incredible tale of the speed run down the Grand Canyon resonated with people. 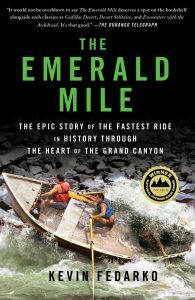 There are several reasons to read The Emerald Mile: It won a National Outdoor Book Award, it’s an exciting look at the Grand Canyon, it features wild characters, and its storyline moves as fast as the river itself. However, behind the story, the author had something to say and truly believed in it—and he took the mentality he learned on the river and used it to share the tale that had enraptured him nearly a decade before. If you are a climber, backpacker, hiker, or general outdoor enthusiast, then you’ve probably read something written by Brendan Leonard already. Most notably the author of popular blog Semi-Rad.com, Leonard has also written for such prominent publications such as Climbing, Backpacker, and Adventure Journal, among others. His latest book, Sixty Meters to Anywhere, is a deeply personal account of Leonard’s battle with alcoholism, his sobriety, and how he ultimately found peace, acceptance, and his identity in the outdoors. Incredibly open and honest about his feelings, emotions, and experiences, this book is difficult to review, as it would almost be like critiquing someone else’s life—and I am not one to be doing that. 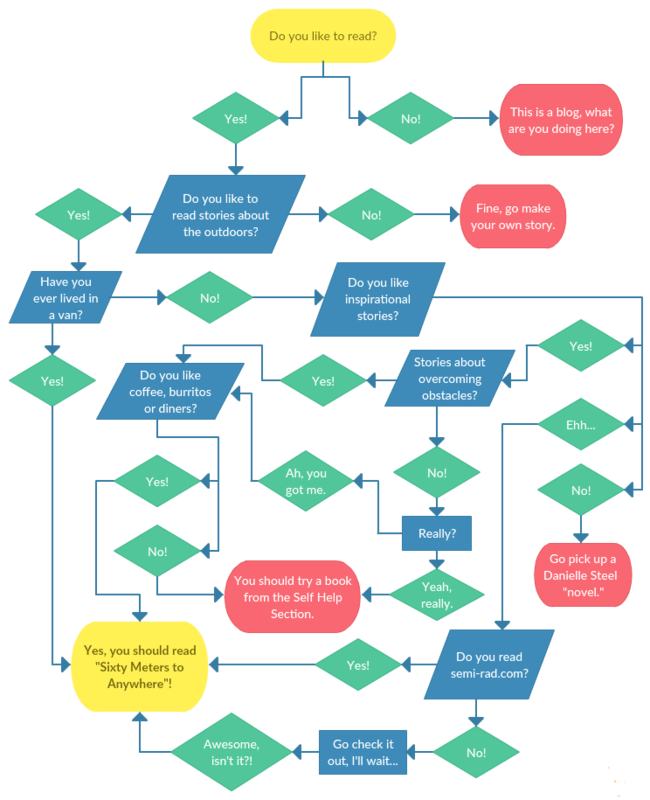 Rather, in the spirit of Leonard’s blog, which frequently features graphs, pie charts, and graphics, here’s a handy flowchart you can use to determine if Sixty Meters to Anywhere is the book for you. Using Yosemite National Park as a spectacular stage, Valley Uprising shares the stories, characters, and history of prominent rock climbers from the past 50 or so years. 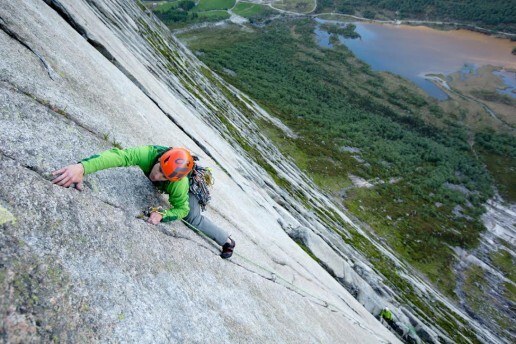 More than just watching them push their physical limits, the movie explores the perception of what is possible, as climbers challenge prior generations’ boundaries up the national park’s towering granite walls. Despite the film stars’ daring feats and charisma, however, the park itself remains at the center. For instance, the film shows that, while new climbers may bring their attitudes, rules, and ideas of what’s possible to Yosemite’s walls, they still play their game in the same stark, stunning, and uncaring location as the generation before them. Valley Uprising gives the audience a glimpse of some of the most dramatic climbs ever to take place in the park, from the golden age of Warren Harding and Royal Robbin’s first ventures on the massive granite faces to the rope-less ascents of today’s rock stars, like Alex Honnold. Almost as impressive as the ascents is how the movie captures these climbers’ vastly different personalities, how they fit into American history, and how their beliefs, backgrounds, and the times they lived in shape their relationship with Yosemite. While the film targets climbers, anyone can appreciate the incredible deeds depicted on screen, as well as the beautiful setting and the climbers’ serious, sad, funny, and action-packed lives. If, like me, you believe Yosemite National Park to be the star here, the climbers frequently steal scenes with bold ascents, humorous anecdotes, and incredible insight into what it’s like to climb a 3,000-foot wall. 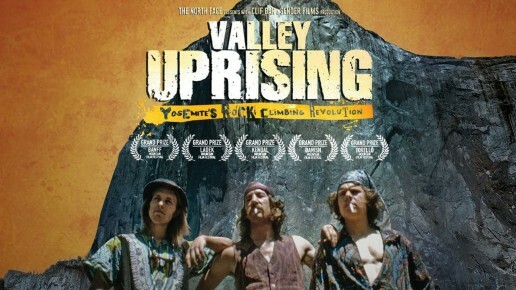 While not a definitive history of Yosemite climbing, Valley Uprising does an excellent job of capturing each generation’s spirit and motivation while also highlighting some of each era’s most prolific and entertaining climbers. Re-watching the film, I realized that it’s the characters who make this movie resonate with both climbers and non-climbers, as there is someone that everyone can relate to or be inspired by. 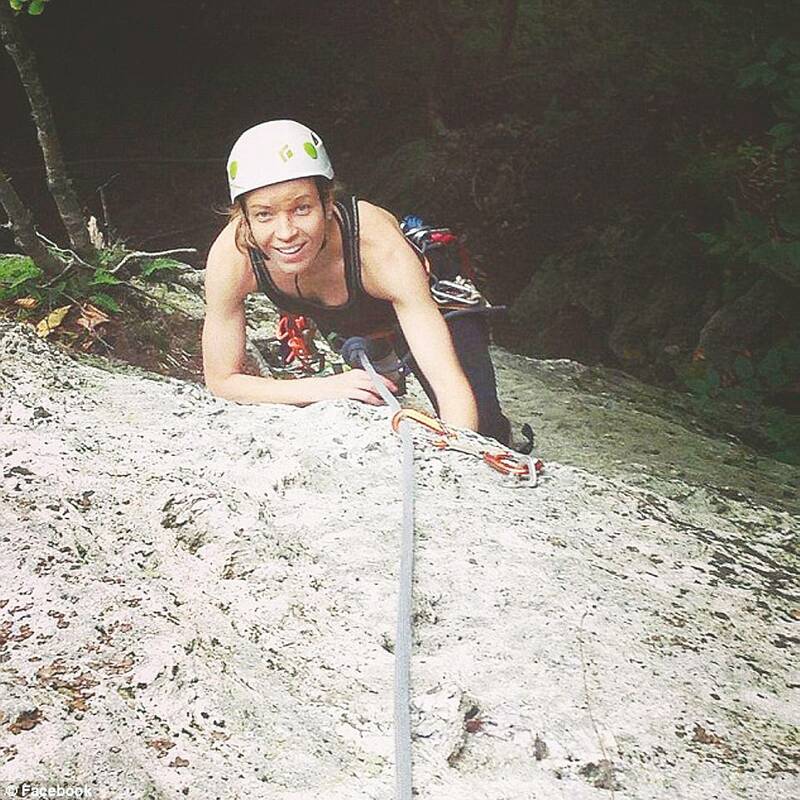 Whether it’s the wine-guzzling, lives-with-his-mom Warren Harding, the hallucinogenic-taking, incredibly bold Jim Bridwell, the barrier-breaking Lynn Hill, the late, prophetic Dean Potter, or the awkward and otherworldly Alex Honnold, these are people you wish you could share a rope with. If you have a rainy day this August or are just looking for something to watch during the height of summer reruns, Valley Uprising is streaming on Netflix and can also be downloaded through a variety of other services. It’s a collection of stories guaranteed to inspire climbers and non-climbers alike, and is sure to have you looking to hone your free-climbing skills, perfecting your aiding, thinking about buying a van, and wondering if you can take the fall off to climb in the Valley. Valley Uprising from Sender Films on Vimeo. 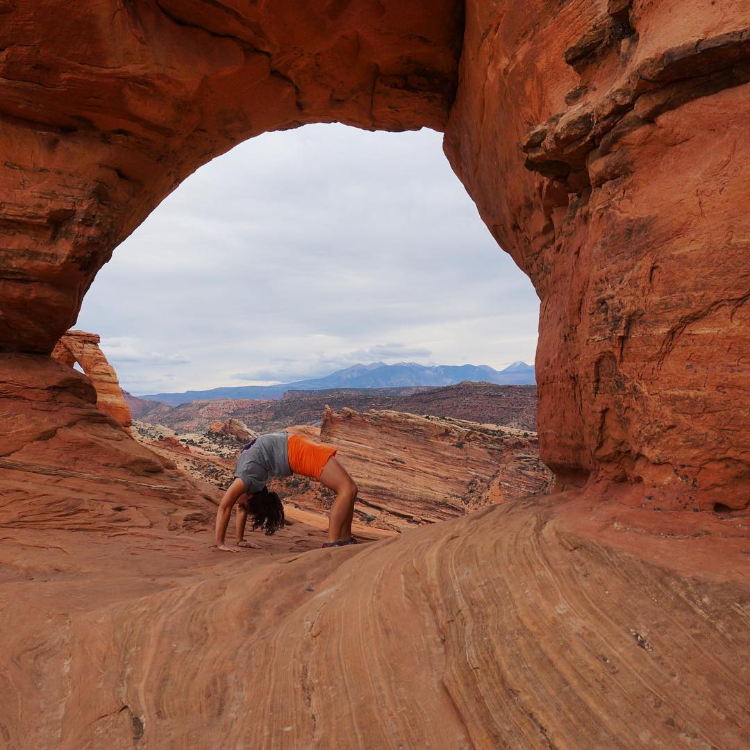 Editor’s Note: Sometimes, it’s the secondary additions to our outdoor adventures that have the largest impact on the time we spend outside and with friends. MntnReview aims to give you the best recommendations, reviews, and tips for the slightly more off-beat pieces that go into making your journeys great. These two sentences are repeated every time my boyfriend and I head out on another trip. This tradition of enjoying a beer on the summit and then finding a brewery after began two years ago. I liked to think we were doing something original, but after spending years in the hiking community, I now know we’re not the only ones enjoying this luxury. Our ritual has two parts, even if they don’t always happen together. First, choosing to enjoy a drink while on a hike is completely dependent on time, place, and manner. For instance, if we are traveling in the White Mountains during winter, I likely do not want to linger on a summit longer than it takes to snap a few pictures. On the other hand, spring, summer, and fall bring gorgeous weather that makes you want to stay – so why not enjoy a nice cold one with your picnic lunch? However, if weather, weight, or other conditions prevent it, we simply opt to enjoy one after the hike. But, in this instance, knowing how to find the perfect brewery is essential. Options abound whether you are in New England conquering the 4,000 footers or in New York hitting the Catskills and Adirondacks. Yelp is excellent for a general idea of how breweries stack up against one another, but nothing beats first-hand knowledge! I have found the best ones to try off the beaten path. 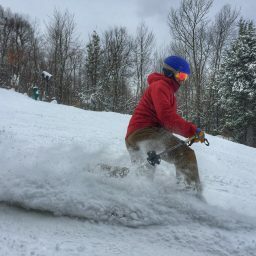 If you happen to be in New Hampshire playing around in the White Mountains, I highly recommend a stop in North Conway. 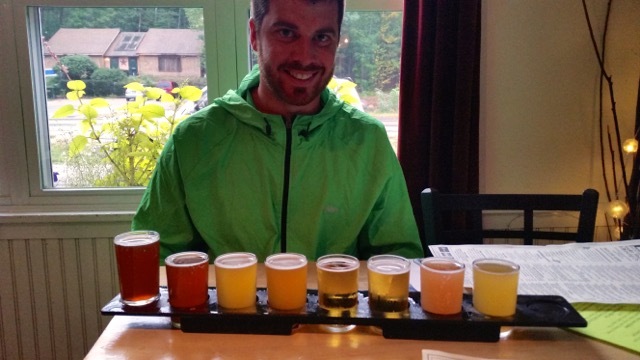 Located in Mount Washington Valley, this little town is old-world New England meets bustling city charm, and it features one of my favorite breweries. 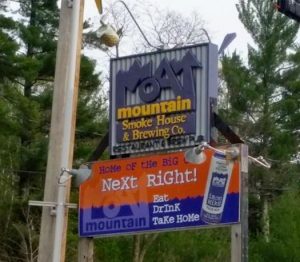 Nestled inside what was once a personal home, Moat Mountain has something for every palate – a stout, a hoppier IPA, or something sweet and refreshing like a blueberry. My preference by far is Miss V’s Blueberry, but for the beer enthusiast who may be slightly indecisive, the eight-beer sampler is always a safe bet. Plus, I don’t know if you could find better French fries anywhere! If New Hampshire is a little far for your weekend getaway, another one of my favorites is hiding right in the heart of the New York Catskills. My boyfriend and I stumbled upon this local hotspot after hiking Peekamoose Mountain in Kingston, New York. We were definitely outsiders walking into this place, but if you can put the stares from people wondering if you just moved to town out of your mind, this brewery has not only a fantastic beer selection, but one of the best mac and cheeses I have ever had. If you decide to give this spot a go, Jo Mama’s Milk, voted by the New York Times as one of North America’s top 10 imperial stouts, does not disappoint! However, if stouts are not your thing (they aren’t really mine, either), the Old Capital is a light, refreshing, and sweeter alternative. If these two breweries haven’t struck a chord with you, then maybe you are up for more of a challenge. Vermont is the home of a nationally famous beer called Heady Topper, formerly served exclusively at The Alchemist Pub and Brewery in Waterbury, VT. Now brewed once a week and distributed to only a handful of select liquor stores, this notoriously difficult-to-find beer has to this day eluded even us! Why is Heady Topper so popular? Well, I don’t know – I have yet to taste it, personally, but it sure does get rave reviews on sites like the Boston Globe and Beer Advocate, and it’s a must-try just because it’s so hard to find! This beer seems to be worth its weight in travel time! There you have it, guys: three breweries in three states to hopefully cover the expanse of your next adventure! 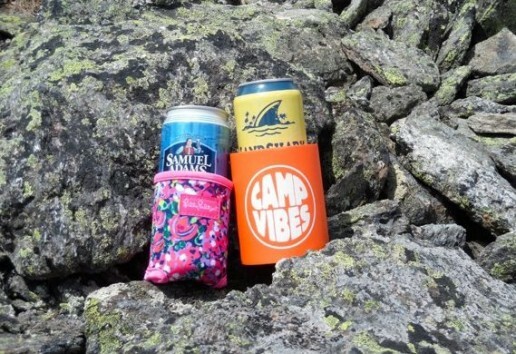 Even if you aren’t a big drinker, the chance to share some laughs and stories with your hiking buddies is the stuff that memories are made of.